Sukkot has been a joyous holiday for us for years. It is a harvest holiday of thanksgiving which falls just a few days after the High Holy Days have ended. It is a joyful week following an immensely introspective time. Something to truly look forward to after so many days spent in prayer. Many years ago, we purchased a Sukkah kit. What arrived in the mail was a small box. I remember looking at it and saying to Scott, “If this is all there is to building our sukkah, it will be quite small.” Inside the box were all the hardware (i.e. brackets, etc.) and an instruction sheet with exact measurements of wood we would need to have cut. This was quite a project and we went off to Home Depot with a mission. Having put a lot of time, effort and love into building our first sukkah, we proudly invited friends over for the celebration and enjoyed a marvelous week. 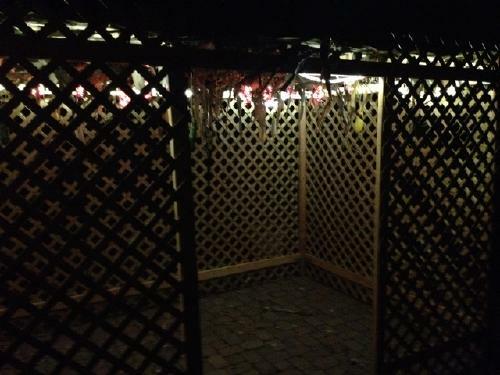 Every year since that first year, we have built our sukkah in anticipation of the holiday. As the kids have grown, they have taken part in building the sukkah, from bringing the materials out of the basement and garage, to using the electric drill for building the frame, to nailing in the lattice sides. Sometimes friends have come over to help and enjoy this time with us. We hang vegetables and artwork, and, in recent years, lights to illuminate the space. We didn’t make plans to put up our sukkah this year. Where was the joy going to come from? Who had the spare time or the energy to put forth? These were questions we didn’t have a chance to answer, as a special group of friends decided they were going to build our sukkah for us this year (and another group would take it down). They recognized the importance of doing things as we have done in the past. A neighbor, who did not yet know the history of this holiday, offered to bring corn stalks to put on top of the sukkah. 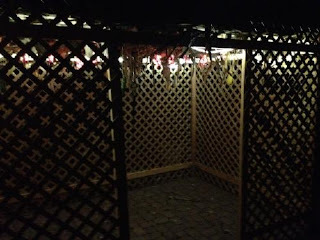 I came home from the hospital on Sunday evening and found a beautifully built and decorated sukkah. 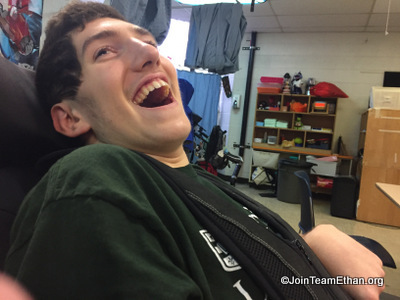 The joy is there, and clearly the love. While we wish we could invite all of you who continue on our journey to gather with us in our sukkah, we know that’s not realistic. So instead, we virtually invite you to join us. One of the names given to Sukkot is “Zman Simchateinu,” which means our time for celebration. May you find meaningful ways to celebrate in the coming week.